Habitat: Roadsides, Hillsides, Disturbed areas. Description: This plant starts as a basal rosette of large very fuzzy gray-green leaves. The leaves are strong and very soft. 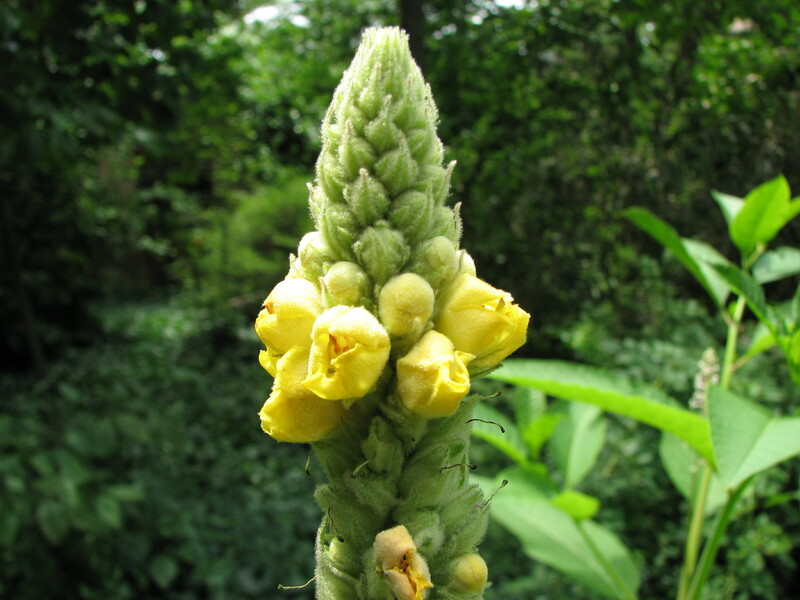 Later in its life cycle it sends up a straight stalk with flower attached directly to it at the top. This stalk can become many feet tall and can persist well into the winter. Habitat: This plant is usually fond of dry, often rocky, well-drained soil. Once I even saw a Mullein plant growing out of a crack in the diagonal-sloping rock wall of an abandoned military fort. I guess that was close enough to a dry rocky hillside for it. Utilitarian Uses: The old, dried stalks are excellent for hand-drill firemaking. The dried flower heads, dipped in a flammable liquid, can be used as a makeshift torch.